He began his career in 1953 and, throughout, created and co-created several characters that forever changed the popular culture. From Spider-Man and Doctor Strange to the Question and Squirrel Girl, Ditko presented characters that stood on the outside of the world — just a little off beat, just a little skewed, just a little weird. Ditko was not a self-promoter. He believed that what mattered was his work, and that the work should be judged solely on its merit, and not who he was. That producing art was not about being an entertainer, but about what was produced. And no one produced comic art like Steve Ditko. His art isn’t defined by raw power or soft romantics like his peers, but by people — plain, unglamorous everyday people. He didn’t see the world as a place of conventional beauty but as the collision of different kinds of bodies. It’s a vision that carried over to the abstract as well. In his art, abstract concepts weren’t forced into mundane forms but instead unleashed as surreal expressions. Ditko was the Pink Floyd of comics, using psychedelic imagery and undefined shapes to create a mystical universe beyond what was seen in comics before that. Looking at Ditko’s Eternity is like falling into space and time itself: you can see humanity reflected but it’s a mere subset of the larger whole. Ditko’s reach and influence extended far beyond the comic pages of the 60s. His designs and renderings served as the foundational works for the filmmaker’s bringing to life his world’s today. 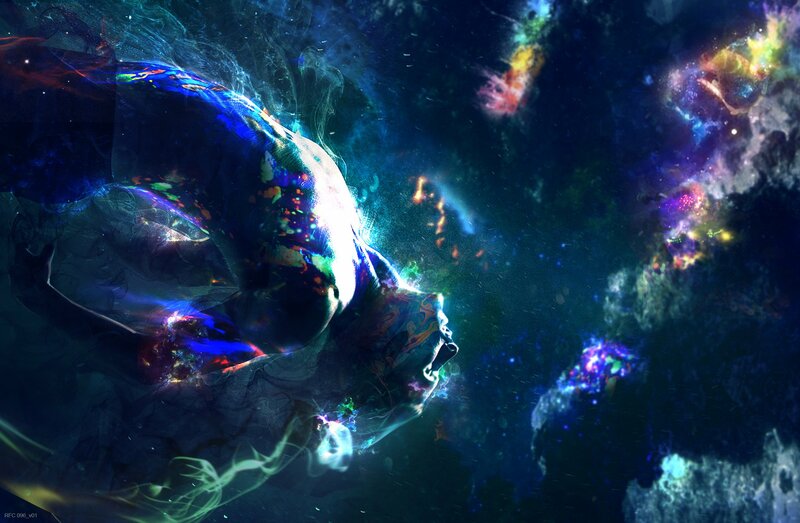 As Marvel Studio’s head Kevin Feige said in regards to the 2016 Doctor Strange film: “When this comic appeared in the early ’60s, it really informed, in a way that is pretty amazing, a lot of the psychedelic ’60s as we know it. 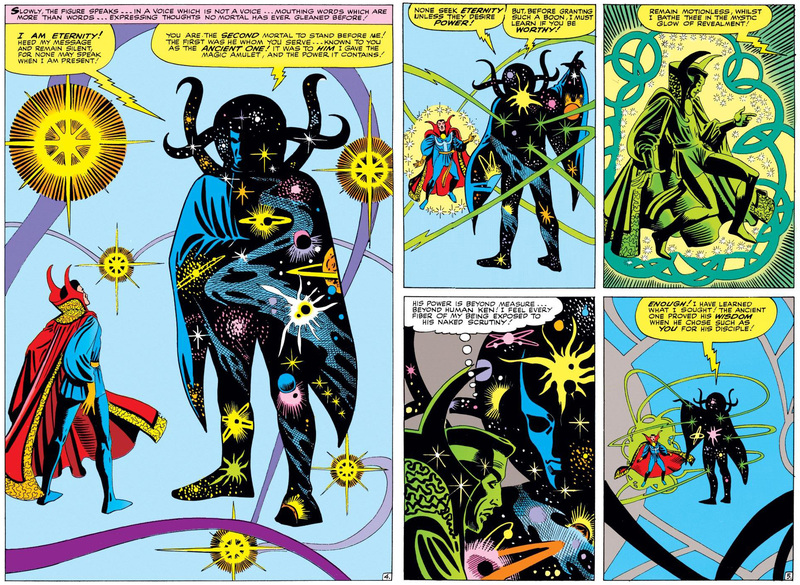 Stan Lee and, in particular, Steve Ditko, had an amazing psychedelic style. I don’t know that they were doing anything weird in the bullpen in Marvel, but certainly the stuff they were doing inspired all those people who were doing mind-expansion experiments at the time. So, that’s inherent to the property. And that’s our mission statement for the visual effects on this movie.” But it’s not what they were doing or if they were doing anything. It’s who was making it: Ditko. Ditko never stopped creating. Perhaps his last creation for mainstream comics was Squirrel Girl with Will Murray in the 1990s. Shortly afterwards, Ditko continued to dabble in self-publishing works with his former Charlton editor Robin Snyder. 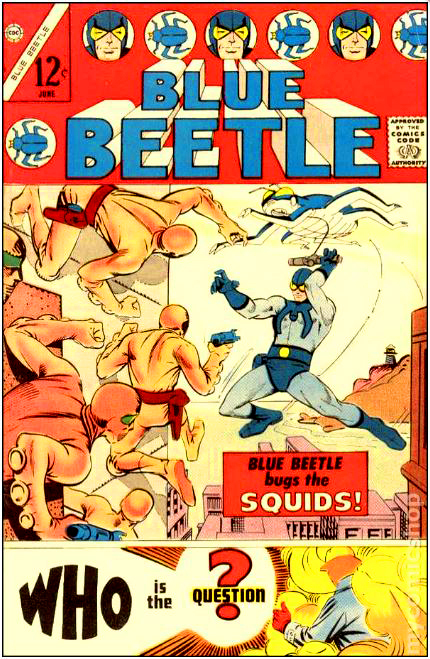 They ran 19 successful Kickstarter campaigns, the most recent one being The Hero: Blue Beetle, an examination of the Charlton character that Ditko worked on in the 1960s. The reports of Steve Ditko’s passing mention that he left behind no known survivors, but he is survived by his work. He may have been aware of it, but his work helped inspire generations of creators to let their own worldview out; to not let weird be an antonym for good. He’s survived by those who came after him, whether they know it or not, and see the world as different shades or shapes. He is survived by the characters he created and who now live in millions if not billions of people’s minds. On an eerie note, Ditko passed away on June 27, ten years to the exact date that comic artist Michael Turner passed away. Even in death, he continued to reveal the bigger questions of the universe. He died in a very Ditko way. Steve Ditko once said “I produce a product, a comic art story. Steve Ditko is the brand name.” But it was more than just comic art and a brand, he produced a legacy and Steve Ditko is an inspiration and cultural icon.